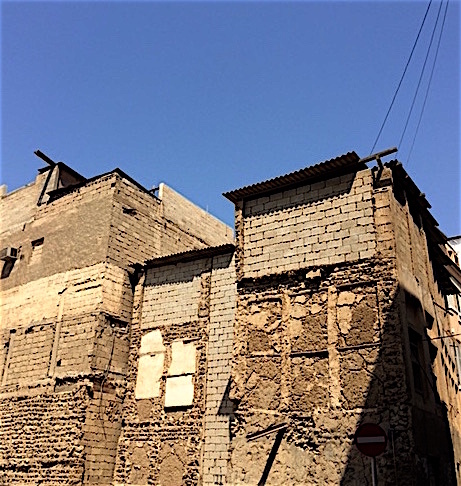 This is one of the oldest houses in Bahrain’s Manama area. Made in the traditional style, mainly out of mud and bamboo, this nearly 100-year old building had, until a few years ago, people living within its confines. 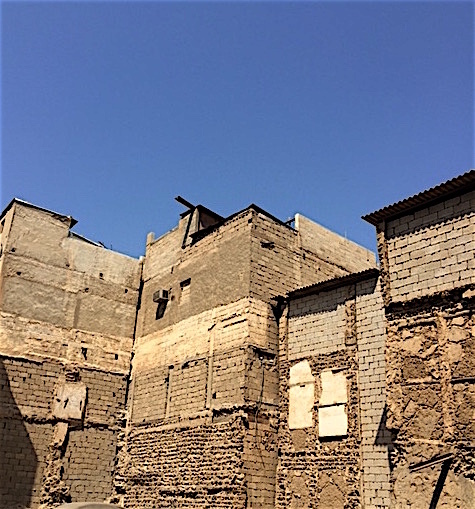 It is only now that Bahrain’s Culture Ministry has taken it upon itself to renovate this and other such houses all over the island, particularly in Manama and Muharraq. These houses had large ‘picture windows’, which have now been closed with cement blocks and wind towers for ‘air conditioning’. There was also the traditional courtyard in each house and interconnected lanes and by lanes for easy access. What is surprising is that even to this day, they stand tall and firm, in spite of the vagaries of the weather and age, as opposed to modern construction that seems to be ‘under the influence’ just a few years after having been built. Surely, there was some genius in the architects, engineers and planners back in the day! That’s amazing! Unbelievable that it still stands strong! It’s amazing !! That’s the case with old buildings and structures all over the world. Look at the Sphinx and the Pyramids !! Yeah its really old ! !